Witness humanity’s persistent ability to remain hopeful even in the times that are seemingly hopeless. Painting by Russian Jewish artist, Lev Kublanov. Commissioned especially for the Echoes of Hope concert poster. 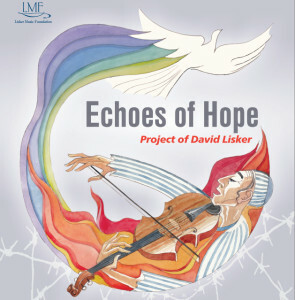 As it is nearly impossible to truly comprehend the magnitude of the Holocaust and the vast number of people affected by it, Echoes of Hope aims to tell the stories of 9 uniquely gifted individuals who, if had been allowed to realize their potentials, had the capacity to entirely alter the history of music in the 20th century. The program took nearly a year to develop as a tremendous amount of effort went into researching the composers, discovering their individual bodies of work, and determining how many compositions ultimately survived the war. Some of the featured composers, such as Mieczyslaw Weinberg, Viktor Ullmann, and Erwin Schulhoff, left behind a tremendous amount of music including entire operas, symphonies, chamber music, songs, and much more. In more unfortunate cases, only single works remained; such as Robert Dauber’s Serenade for violin and piano, and Carlo Taube’s Ein Judisches Kind, a beautiful song for soprano and piano. 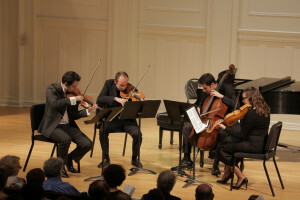 But even through a simple 2 minute song, we are able to bring a person out of obscurity into the literal spotlight, giving us the opportunity to acknowledge them not only as one of 6,000,000 victims of the Holocaust, but as an individual with a family, incredible talents, and an extraordinary story. 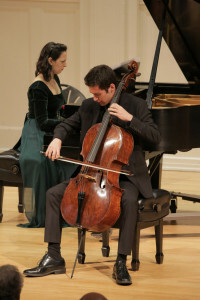 With commentary from the stage providing historical context, an absolutely brilliant lineup of world-class musicians, and truly mesmerizing music which takes the audience on a journey through a wide range of styles and emotions, Echoes of Hope proves to be an unforgettable and deeply moving experience for everyone in attendance.